The vicious Mexican cartel war boils over into the Big Bend in the explosive new novel from the author of The Far Empty and High White Sun. 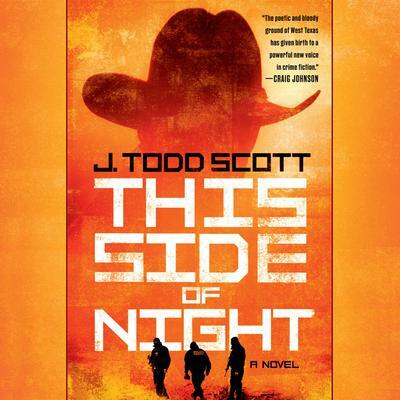 Across the Rio Grande, Sheriff Chris Cherry and his deputies America Reynosa and Danny Ford find themselves caught in Fox Uno's escalating war with the recent discovery of five dead men at the river's edge. But when El Paso DEA agent Joe Garrison's own Nemesio investigation leads him into the heart of the Big Bend, he's not ready to accept the cartel leader's retreat or defeat. Not only does he suspect a high-profile drug task force in a neighboring county is corrupt, he can't shake lingering doubts about the loyalty and motives of the young deputy, Ame Reynosa. And he won't let Sheriff Cherry ignore them either. In this pitiless land it's kill or be killed, where everyone will make one final bloody stand to decide the fate of Nemesio, the law in the Big Bend, and most of all, the future of America Reynosa.